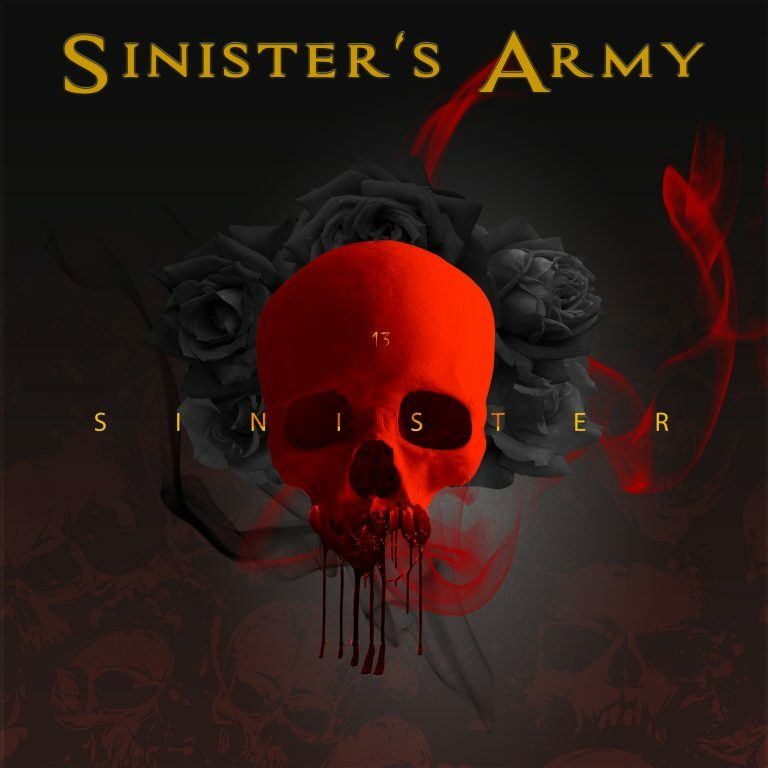 A groundswell of enthusiasm is growing on social media regarding the debut album of Sinister’s Army and with good reason. Released Nov. 20, 2018, Sinister is an incendiary collection of ten melodic hard rock and heavy metal tracks which could burst into flames at any given moment. The opening cut, “Deception,” explodes with amped out fret runs and striking, almost sneering vocal work. But as you know, there is always more to the music. Each song from Sinister provides a solid sonic injection for eager listening enthusiasts, which is no coincidence. 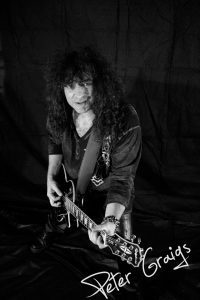 The Sinister’s Army team is multi-instrumental guitar wizard Peter Graigs and the exceptionally voiced singer and guitarist Keith Ferrari. 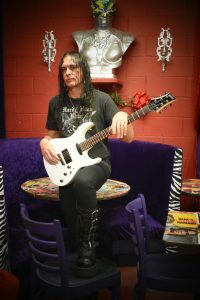 The two musicians have created a guitar driven recording with a large arena-rock vibe throughout Sinister. For instance, “Bitter End” cranks with full layered electric leads that jump out of the mix. Graigs’ tone is nasty, gnarly and amazing. Additionally, when Ferrari sings the line, “Can anybody tell me, where I’ve been,” with accents on particular words, something says this vocalist goes a bit beyond the average rocker. If soaring leads and solos dime your amp, then check out the 4:15 “Control.” The six-string pyrotechnics are highly combustible, so avoid smoking in the area after hitting play on this one. Listen closely because Ferrari is never off key or out of tune at the microphone as the lyrics reveal the process of breaking free from entrenched self-limiting thoughts created externally by someone else. Meanwhile, the baseline and drumming add an aggressive edginess to the music, making this a personal favorite from the album. Metal gives way to rock during “From the Hip,” complete with a punchy guitar phrase and heavier beat. The arrangement lends to the steady pace and a more melodic feel compared to most other songs on Sinister. At the 1:55 mark, Graigs let loose with a barrage of notes before Ferrari returns to the narrative. Yet, “From the Hip” is a full tilt humbucking love song on steroids. Clearly, this cut was meant to be played loud. You can hear why Sinister’s Army has developed such a loyal following. But the music is not done yet. Among the highlights from Sinister is the moving “If Only,” where Ferrari’s talent and character shine from beginning note to last. KF sings about the loss of a loved one while accompanied by an acoustic guitar and the result is honest warmth and sadness. All 4:26 echoes with pain and depth inside a tender melody. Hearing “If Only” evokes a feeling of surprise among the pack of the hard hitting heavy rock and metal gems. This is further proof of Graigs’ and Ferrari’s unique music chemistry. The same holds true with other selections, including the title track. The head banging riff from “Love Blind,” is contagious. Performance, instrumentation and production make Sinister a recommended choice. Note fans can order a signed copy of the album. What’s more, according to the band, a portion of the sales will go to fight childhood cancer and autism. If there was ever an independent release that deserved recognition, it’s Sinister, by Sinister’s Army.